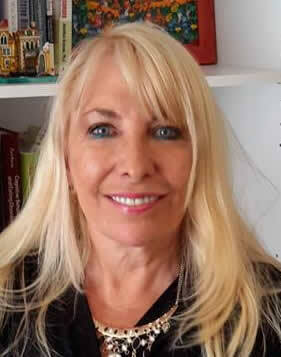 Dr. Patricia Escudero Rotman is a Licensed Clinical Psychologist (foreign license) with an American Ph.D. in Health and Human Services with a specialization in Psychology (doctoral dissertation about Panic Disorder). She also holds a New York License in Clinical Social Work. She has been in clinical practice for more than twenty (20) years. Her professional experience includes working in the Addiction Treatment Program at Mount Sinai Hospital (Miami); serving as the Director of several Anxiety Disorders Programs (both overseas and in the United States); working in an Emergency Room, in a Partial Hospitalization Program and in an inpatient psychiatric unit. Dr. Escudero Rotman is a Clinical Supervisor and Assistant Clinical Professor for the Department of Psychiatry at the School of Medicine in Mount Sinai Hospital (New York City). As such, she supervises the residents in psychiatry in Cognitive Behavioral Psychology and Schema Therapy (ST) as well as teaches a ST psychotherapy class to fourth year residents. • What attracted you to your partner, now irritates you. • One of you is ready to make a further commitment, while the other one is ambivalent or is “backing off”. Treatment for Anxiety | Are you anxious?